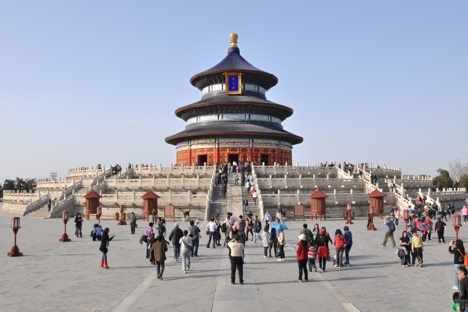 Welcome to Travel Guide 2 China, the site about travel, tourism and vacations in China. The People's Republic of China, commonly known as simply China, is the most populous country in the world, and either the 3rd or 4th (depending on precisely which territories are included) largest in terms of geographical area. China has land borders with 14 countries: Afghanistan, Bhutan, India, Kazakhstan, Kyrgyzstan, Laos, Mongolia, Myanmar (Burma), Nepal, North Korea, Pakistan, Russia, Tajikistan and Vietnam. As already mentioned, the People's Republic of China is the most populous country in the world. As of 2007, China's population is estimated as 1,321,851,888. 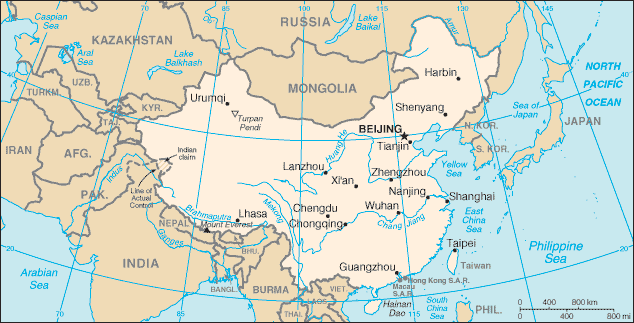 The capital of China is Beijing (formerly known in English as "Peking"), which has a population of around 10.3 million in the city itself, and around 15.9 million in the municipality. There are of course dozens of other large cities in China, including over 50 with populations of over a million, many of which are growing rapidly as the country modernizes. When the People's Republic of China was first established in 1949, the country pursued a Soviet-style centrally planned economy for almost three decades. However, since 1978, more and more market-orientated reforms have been brought in, while nevertheless preserving the Communist Party's monopoly on politcal power. The government has privatized farmlands, encouraged small scale enterprises, relaxed price controls, encouraged managerial responsibility, and even promoted foreign investment, especially in a number of Special Economic Zones. Additionally, the capitalist systems of Hong Kong and Macau have been preserved in "Special Administrative Regions" when these territorities were returned to China in 1997 and 1999 respectively. As a result of these reforms, China's economy has been growing at an annual average rate of 9.4% for 25 years, and China now has the 4th largest economy in the world. Nevertheless, China still has a long way to go before the standard of living of its huge population reaches Western standards: the standard of living is about one fifth of that of the United States.